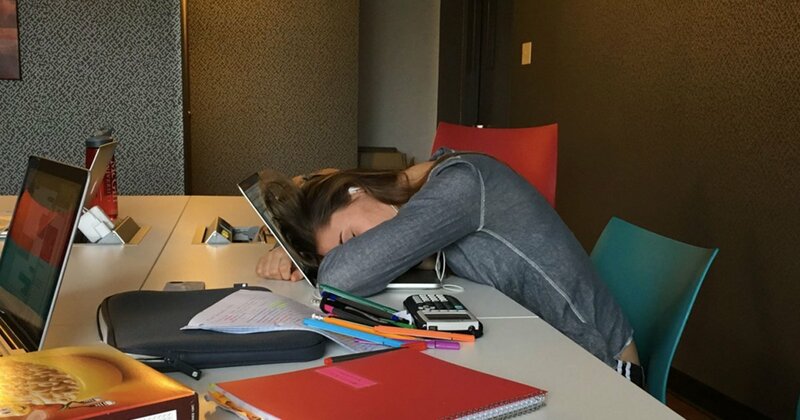 New research has found the most sleep deprived colleges in America. The most sleep deprived students in America attend Columbia, where the average students goes to sleep at 11:52PM and wakes up just 6.68 hours later at 7AM. Students at the University of Oregon are the biggest night owls, as the data revealed their average bedtime was 1:14AM for weeknights.